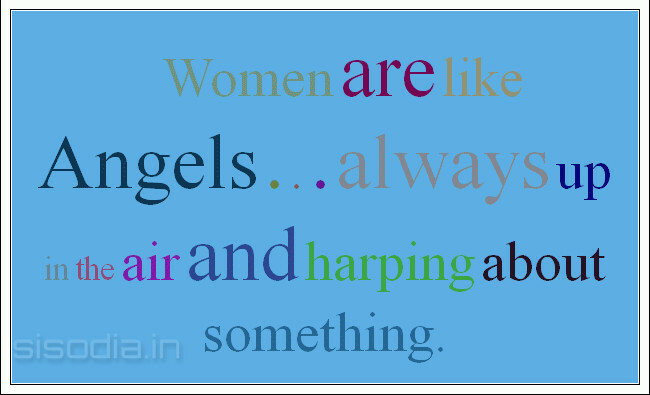 Quotes Find: Women are like Angels . . . always up in the air and harping about something. 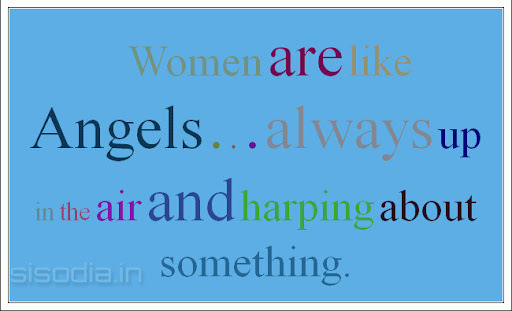 Women are like Angels . . . always up in the air and harping about something.